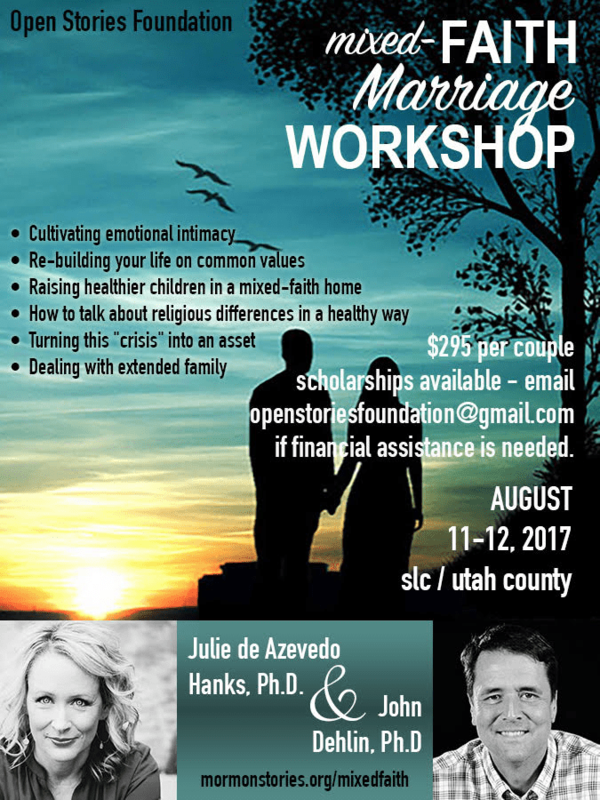 Join John Dehlin (Post Mormon) and Julie de Azevedo-Hanks (Active LDS Member) for their first ever Mixed Faith Marriage Retreat! COST: $295 per couple – meals included. If you can’t afford the registration cost and need of a scholarship please email us at openstoriesfoundation@gmail.com.